We set out to build an iOS application that truly solves a real-world problem, and we did exactly that. We realized how tedious it is to browse through postings in Excel of hackers posting their technical expertise and skills. In fact, they all end up looking roughly the same over time. 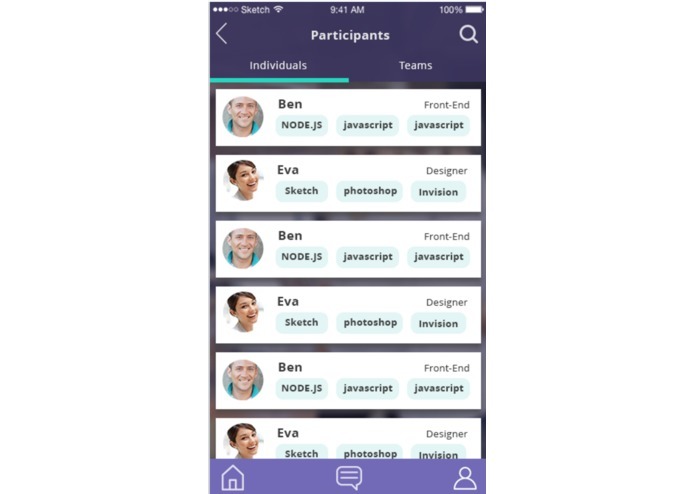 WeHack simplifies the entire process of finding teammates based on desired skills, and exploring teams to better understand the project idea, including skills they're currently looking for as well as how many spaces are open. In addition, there's a bulletin board for the hackathon admin to continuously update, all with locations that make it easy for attendees to pinpoint exactly where the event or food is. This proves to be particularly useful since most attendees are new to the school and unfamiliar with its layout. 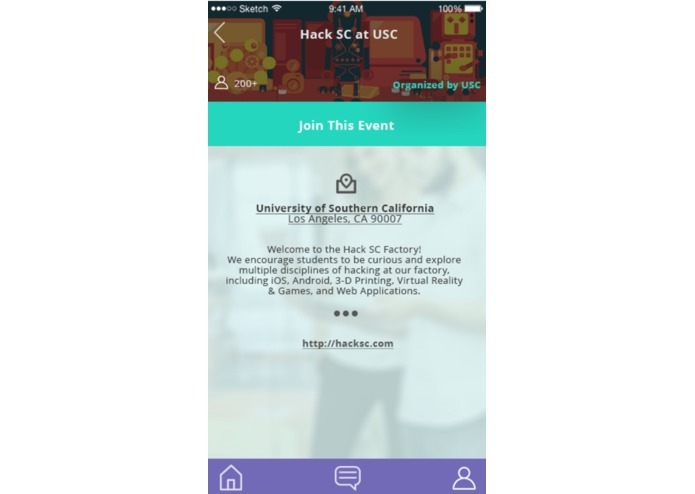 WeHack serves as a platform for teams to browse students who are looking for teams. They can search for specific skills, making it much more easier than ever before to find attendees with the exact skills they're looking for. In addition, attendees can view teams, their project idea, as well as the tech stack for the project. The admin of the hackathon event can continuously add bulletin posts with the latest news and updates, all with location included (that open in maps) that make it easy for attendees to find exactly where the event is going on. We built this with Swift for the iOS application, and node.js with MongoDB for the back-end REST API. There were several challenges we ran into throughout the process of developing this application. The main one was developing a fully polished iOS app that adheres to Apple's UI/UX guidelines within the timeframe of this hackathon. While we got much of the application working, there is definitely more work to be done. 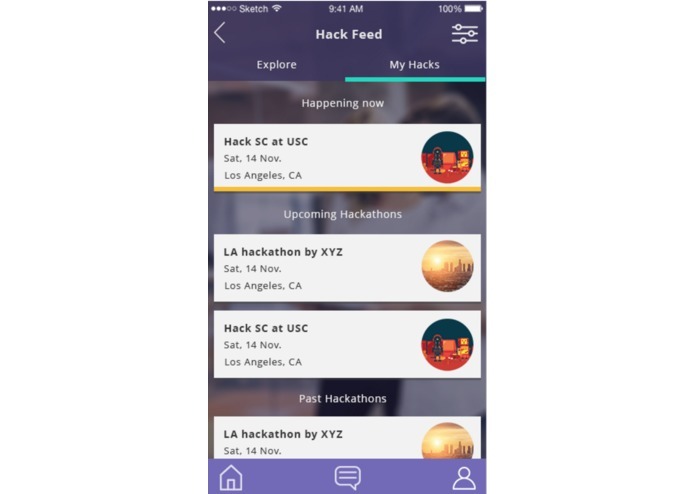 We're proud of developing an iOS application that resolves a real-world problem for hackathon attendees. We placed UI/UX design as one of our priorities as this application seeks to be the information hub for hackathons. We completed read through and understood Apple's design guidelines, and each every button, gesture, and style is optimized for ease of use for the user. We really believe that this application can change the way that people attend hackathons in the future, resolving many of the common pain-points from earlier. To make a fully robust iOS application, it definitely takes more than 1-2 nights. We also learned how to build robust APIs in Node.js and the sheer amount of work it takes to develop a UI/UX friendly application that optimizes the user's ease of use. We need to fully implement some of the features we set for the roadmap of our product, such as the admin options and messaging. 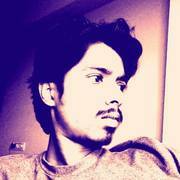 I worked on the wireframes, user flow, navigation, UI, UI kit, clickable prototype so everything UX and design related.